being used on a boat while docking. What is Quick Boat Fender? 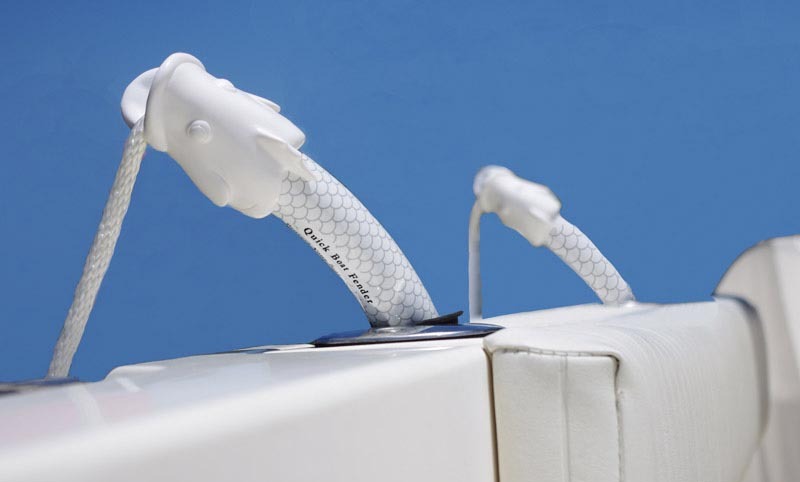 Quick Boat Fender is a great looking product that makes docking easier, more convenient, and is the easiest to use boat fender accessory available. Our product takes less than a minute to adjust to your boat, and once adjusted, Quick Boat Fender never needs adjusting again (for most floating docks). Simply slide Quick Boat Fender into your rod holder, lock it into place, and hang the boat fender over the side of your vessel. 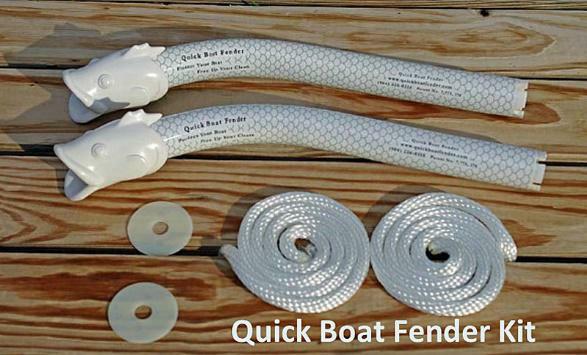 Why Choose Quick Boat Fender? 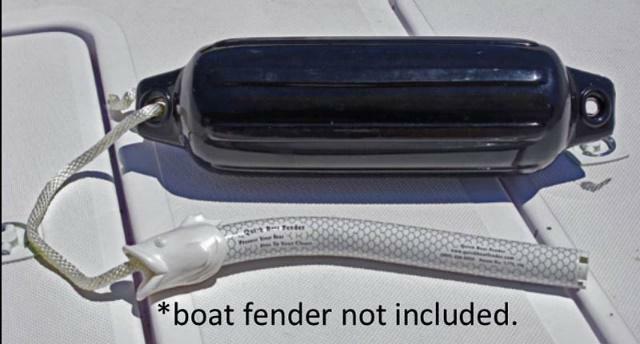 Quick Boat Fender slides into your empty rod holder, hanging your boat fender over the side of your boat. Quick Boat Fender’s curved design takes the fender line to the edge of the boat so the line does not rub the gel-coat. Quick Boat Fender requires no alterations to your boat. Quick Boat Fender is capped off with a beautiful fish head designed by a local Floridian artist. YOU CAN NOW PURCHASE A QUICK BOAT FENDER FOR AS LOW AS $24.95! – Brian B., St Pete, FL. Looking for boat fender accessories? Once Quick Boat Fender is adjusted for your boat, it almost never needs adjusting again for floating docks. Quick Boat Fender can take hundreds of pounds of pressure and comes with a 10 year replacement warranty. Boats usually have two rod holders on each side. 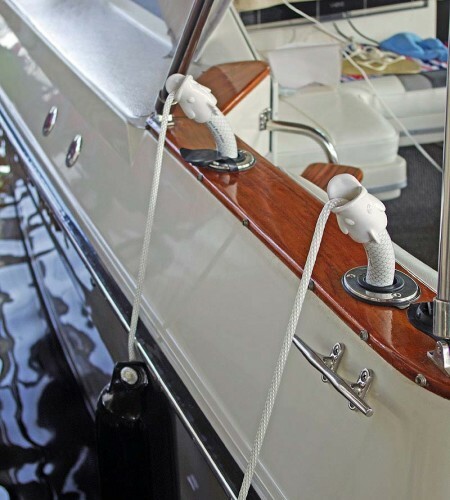 To protect one side of the boat in the back and middle you will need two Quick Boat Fenders. 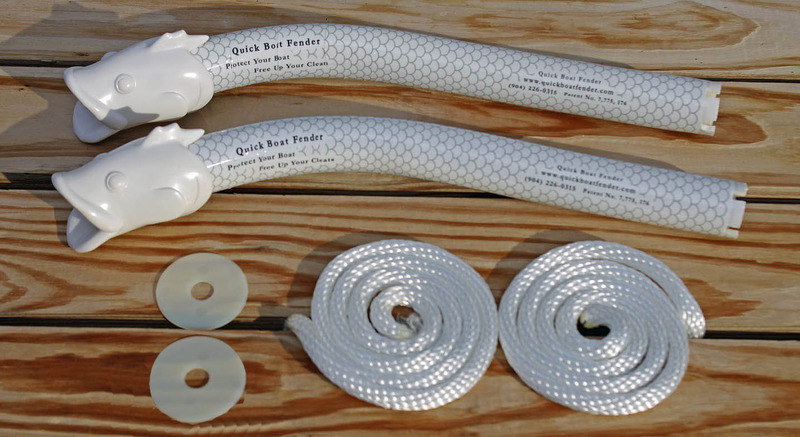 You will need four Quick Boat Fenders to protect your boat on all sides while rafting or tying off to other boats. Quick Boat Fender is perfect for fishing boats and pleasure boats. If you don’t have a rod holder on your boat, you’ll want to install two on each side so you can have the ease of using Quick Boat Fender. not included with your purchase of Quick Boat Fender. Slot locks the Quick Boat Fender in your rod holder.